“Tables Vatel” Chef, will ensure the show for the 2017 Épicuriales event! 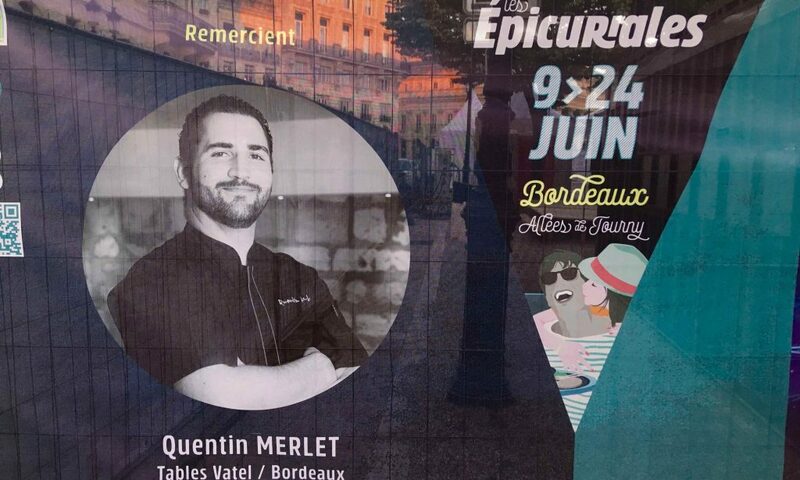 VATEL > Inside Vatel Bordeaux > Blog > About Bordeaux > Quentin Merlet, the “Tables Vatel” Chef, will ensure the show for the 2017 Épicuriales event! There will be innovations by the bushel for the 23rd edition of the Épicuriales with Insider by La Fourchette, a gourmet bistro where talented Chefs with a bright future will be competing with each other. The new Chef of the Tables Vatel, Quentin Merlet, accepted this challenge with pleasure and determination when he decided to take part in the first edition of the “La Fourchette” gourmet bistro during the ÉPICURIALES, on June 24th. The principle is simple: each evening, a different Chef will be cooking an entire menu live and in real time (starter, main course and dessert). “An interesting challenge, and one that we’ll be preparing for as a team. Taking part in the ÉPICURIALES is a wonderful opportunity to make Tables Vatel known and appreciated by everyone who lives in or around Bordeaux. And for me it’s an opportunity to create dishes that inspire me with a touch of originality from all my trips,” said the young Chef from Bordeaux. Two students, the first ambassadors of Vatel’s know-how, will also take part in the restaurant service of this gourmet bistro during this exceptional evening. With this event, Les Épicuriales are striving to “overturn the codes” with an event that has brought together epicureans who love gastronomy for over 20 years now. “With this new concept, our customers will be able to speak directly with a Chef, chosen by The Fork, each evening, while he or she is cooking,” added the spokesperson for the committee that organized this event. See you from June 9 to 24th, Place Tourny, to celebrate the arrival of summer with a gourmet meal. A new 2017 event and the second ephemeral restaurant of the Épicuriales. There will only be one service for 40 customers each evening. For only 45 euros you will have an aperitif, starter, main course and dessert with two glasses of wine and a cup of coffee. 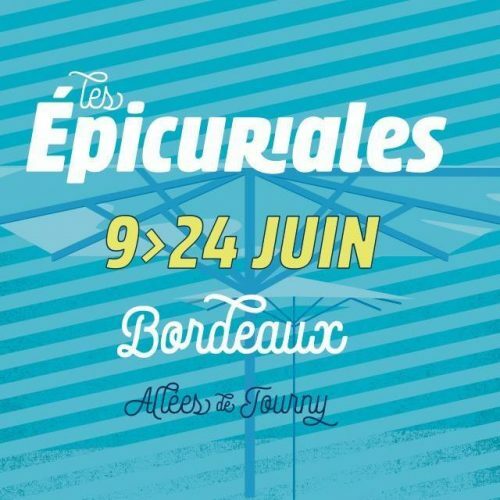 The Épicuriales is a not-to-be-missed event that takes place in Bordeaux at the beginning of summer. And it’s even become a benchmark for European gastronomic events! Quentin Merlet was only 14 when he decided to become a cook. After the Saint-Michel Hospitality School in Blanquefort, he had his first professional experience in Megeve, at the Chalet du Mont d’Arbois gourmet restaurant. In 2010, he went to Saint-Martin, in the West Indies, for two years. That’s where he learned to love putting exotic touches on local dishes. He came back to Bordeaux, where he was born, in 2015 to head the kitchens in the DARWIN ecosystem General Stores. Today, this is France’s largest organic restaurant. And he has just started seeking new challenges at the Tables Vatel.